This year we seem to be hearing more and more reports of dogs being poisoned. We've all heard the rumours but it's rare to hear directly from those effected. "Two little Beagles, six years old and eight years old, died on Sunday afternoon from suspected poisoning. They had been on a walk on Doverow Hill in Stroud as part of a gang (two Bassets, one Beagle cross, one Husky and two GSD). 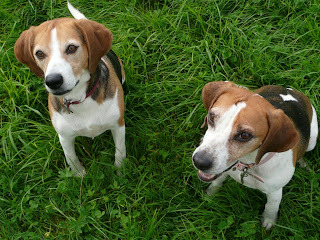 It is suspected that the two Beagles have eaten something on the hill although this was not known at the time. Sunday morning they became very ill and were rushed to a local vets where one passed away mid afternoon and the other one was put to sleep as it was inevitable she wasn't going to survive. "I understand the local police have been informed. "The reason I am contacting you is to see whether you could contact the owners (my daughter and her partner) as cases like this remain unexplained and we would like to raise awareness and hope some good may come of this. We will possibly never get the answers and it will never bring the little girls back but will now do all we can to try to get some clues." We've had several other reports of dogs dying after walking in parks or on beaches. So what is going on? Is this happening more or just being reported more? 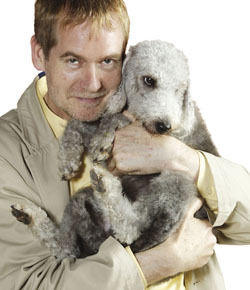 Are there more anti-dog mad folk around than there used to be? Sick folk deliberately leaving poisoned food out? If by reporting on poisonings have the press inadvertently encouraged other nutters to copy this cowardly and cruel behaviour? Or could there be a slightly less evil reason for these cases? Could we be seeing pest control being used irresponsibly? Could people trying to kill off rats, foxes and even diseased badgers but be leaving the bait around that our dogs are eating, too? Or could the bait be eaten by small animals and excreted? Could new poisons be being used or pesticides? New more toxic and attractive substances? Do you know of any confirmed poisonings and any firm information? Have any of these dogs had autopsies? Do we know what type of poison has being used? Those poor Beagles. What a tragedy. Let's pool information and if this is a pattern to this, let's try to uncover it. I've had another email this time from Ben, one of the dogs' owner. Here's a photo of poor Trio (left) and Widget (right) who both died on Sunday. "There is no hard evidence as yet, however the most likely explanation given the strength of the toxin and the method used to deliver it is that someone has been trying to poison badgers. "According to the local RSPCA inspector, a farm-grade slug pellet (which have no taste inhibitor) used in a high concentration with bait such as nuts & peanuts (which the girls were later vomiting) is a common means to illegally kill badgers and other animals. "We were able to secure a sample of Trio's vomit, so hopefully tests can be carried out to identify the poison. "We were in Stroud in Gloucestershire. We are lucky to still have 6 beautiful dogs. If the girls weren't such greedy pigs then so many more could have died. "The amount of support people have given us is humbling, and shows how we really are a nation of dog lovers, despite the few who carry out acts like this. Here is a link to the newspaper article: http://www.thisisgloucestershire.co.uk/Beloved-beagles-die-poisoned-Doverow-Hill/story-16355167-detail/story.html "
There have been a few reports on Facebook and some had photos of posters put up by the local council. I may be able to track them down if you're interested. My dog had a regular check up with the vet recently and I asked if he kept Vitamin K - glad to report he does. Shocking , here in London there is no such news. Feel for the poor owners. I tend to take news stories about poisoning or nails in treats etc with a pinch of salt, as, unless they come from an official source like the BBC, they usually turn out to be scaremongering or a hoax. However, the news about the beagles is quite upsetting. If, as you suspect, poisonings are on the rise, we need an official forum for reporting and investigating these instances. If you have a dog which likes to scrounge on its walks, please keep it on a leash and/or muzzle it if necessary - better safe than sorry! And, if you are unfortunate enough to go through this experience, perhaps consider an autopsy/testing after recovery so that a complete picture can be compiled. Very sad and I hope it was not a deliberate act but the poisoning could have occurred anywhere in reality. I read a report a while back about a family's dogs drinking car antifreeze that had been left unattended briefly by the unknowing owner and they all died. Apparently some types taste nice to dogs but are nearly always fatal if consumed. Now we all know about potentially poisonous things Like chocolate and grapes etc and therefore protect our dogs from them, but who would guess that a dog would ever drink something like antifreeze? The point is, we are vigilant when we know about these things but if it isn't commonly known, the easier for accidents to happen. (Antifreeze spilt in a neighbours yard for example.) Knowledge is everything. This is a one off as far as I know but one of my wife's staff members was out on a walk with her two springers a few months ago in fields near Taunton, one of the dogs got distracted and ran off. She and her husband found the dog about 15 mins later near a large puddle at the side of the field drinking from it. Later they noticed the dog was lethargic and wouldn't eat or drink. The next morning they took it to the vet and within 24 hours it had died. The vet ran some tests and found ethanol (probably anti-freeze) in the dog's system. They were at a loss as to why ethanol would be in a puddle with the only two explanations (given the position of the puddle in the field) being a tractor's cooling system having a catastrophic leak or deliberate sabotage of gthe puddle. It was not a public footpath but a well known (and hated by the farming community in that area) and popular dog walking route. Could you adopt our Adopt Me section?